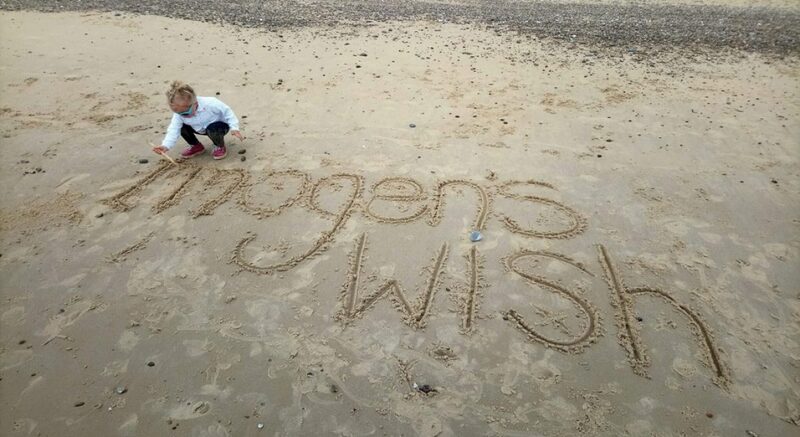 This is Imogen, she is three years old and suffering from a condition called Juvenile Idiopathic Arthritis (JIA). Imogen was born in May 2015 as the start of our little family. She was and still is such a character with a truly infectious smile and personality. Everyone who meets her is captivated by her individual, happy disposition, she really is one of those unforgettable souls. 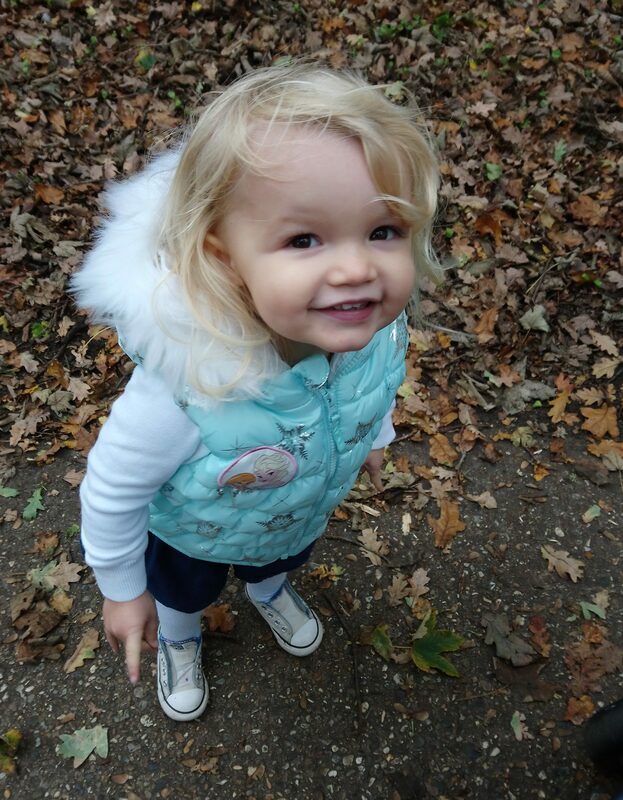 Imogen spent her first couple of years like any other little girl, learning to sit up, crawl and then finally at 14 months old walk…….or should I say RUN. From the minute she found her feet she would run everywhere, very active. At the beginning of 2017 we happily announced that we would be expecting a new addition to our family and on 27th September 2017 we welcomed Myah May Gotts into our world. Imogen was delighted that her new baby sister had finally arrived and after visiting us in hospital, the following day we bought her home. A rather exhausted and sore Mummy wasn’t expecting to be welcomed home with a poorly Imogen who was up and down all night with a sky high temperature, although oddly in the morning the temperature had eased and she was absolutely fine, life resumed to our new version of normality. Little did we know this was just the start of our journey. Exactly one week after Myah’s arrival Imogen woke up but didn’t get out of bed, instead she started crying and calling for Mummy. She didn’t want to climb-off her bed, didn’t want to stand up and kept complaining of leg pain. Finally when up on her feet we noticed she had a distinct limp, almost like her right leg was wooden. She got ready and went to nursery for the morning with a view to take her to the Doctors in the afternoon if she wasn’t any better. Three hours later and she was still the same, they had also noticed that she was limping, not wanting to sit down and her knee looked slightly swollen and warm. Thinking that she may have sprained or twisted something we called the GP who thankfully managed to fit her in the same afternoon. After the usual routine examinations and a good look her her legs we discussed Imogen’s history over the previous few weeks. Has she complained of pain in her legs before? Well yes she has actually, mainly in the mornings but she was ok during the day so mainly put this down to growing pains. Any high temperatures? Well yes now you mention it she had one around a week ago when I bought her baby sister home. However she was absolutely fine the next morning. Lots of questions and discussion later he called through to our local hospital children’s ward and arranged for her to go straight over for further tests, bloods and an X-ray. He loosely mentioned that they needed to check if she had damaged anything like a sprain or small fracture, but he also mentioned the words Juvenile Arthritis to which we didn’t pay much attention at this point. So off we went to the children’s ward had an X-ray, some more examinations and then they popped some ‘Magic’ cream on her arms and hands in preparation for a blood tests. Now until recently Ive never been very brave myself when it came to needles so my husband had to take her in for this at the time. I eagerly awaited her return sat by her hospital bed and shed a little tear of fear (and probably post pregnancy hormones) when she walked back into the room with a big bandage and a cannula hanging out of her tiny little hand. Daddy said she was extremely brave, but she would be staying in overnight to see some more doctors in the morning. WHAT?!?!?!? What on earth do they think is wrong with her. So I had no choice but to leave her there (luckily with daddy) overnight in a strange place so that I could go home to look after our newborn baby who had been with my parents most of the day. After a sleepless night both through worry and feeding duties, I managed to get straight back over to the hospital ready for the Doctors’s doing their rounds that morning. They discussed her results, her X-rays and again more pulling about for poor Imogen, who was so good and to be honest loving the attention being on her and not her new baby sister. At this point there was nothing alarming showing up from the tests, no fractures or damage but her bloods highlighted some inflammation and her knee was still swollen so they decided to refer Imogen to the Paediatric Rheumatology team to see a specialist about her joints. Some terminology was thrown around in conversation and again those two words Juvenile Arthritis. So off we went home and that was that, everything must be ok as we are allowed home and just need to wait for an appointment in the post. The days went by and Imogen was getting worse and worse. It went from being stiff in the morning to walking at all times unsteadily with a straight rigid leg. She could only walk so far then needed to be carried or go in a buggy, up most nights in pain and generally not herself at all. Where had our little Imogen gone, she didn’t want to join in with anything, was terrified to be around other children, looked sad and poorly most of the time and couldn’t walk let alone run like the two year old we once knew. We received her referral letter and the appointment was somewhere between Christmas and New Year, frustration kicked in!!!! It was only just the beginning of October and she was in constant pain, struggling to move around and really withdrawn from the world around her…..just kept thinking how can we leave her like this until then. Now my husband Darren has severe haemophilia (A) which over the years has effected his joints and he now has associated arthritis for which he has regular checkups. We were so confused and frustrated and started to question with the similarity of joint pains and a possible link to Arthritis, could this be connected to the problems her daddy has? We always understood that the girls would be carriers of the haemophilia gene and what implications this may have later in their lives but not that it should effect them health wise at this point in time. So we contacted his healthcare team at Addenbrookes to see if they could offer any advice. They were fantastic and explained things more from their perspective and confirmed that from the blood results they had seen, there would be no cause for concern other than what we already knew about them being carriers. Ok so that’s Great, this is nothing related to Darren’s condition, so WHAT IS IT? I think they could see the concerns we had and helped to put us in touch with the paediatric rheumatology team at Addenbrooke’s and after some more bloods and letters between the two teams, we had an appointment and it was only a couple of weeks to wait which was Brilliant. Imogen’s treatment plan was for her to start a drug called Methotrexate but first she would need a chest X-ray, chicken pox vaccines and because the drug takes a number of weeks to take effect they scheduled her for some steroid injections to help her in the meantime. She also received appointments for physio to help movement of the joints and also eye screening as believe it or not it can also attack the eyes. Good to their word, they managed to get Imogen in the following week for her priority eye screening and her joint injections the following day. Unfortunately eyes didn’t go to plan, she had to have drops ready for the eyes to be examined and from that point forward it was hopeless, she was so distressed they couldn’t get near her. As we were there the following day they luckily arranged for the eyes to be examined whilst she was under anaesthetic (phew). Due to the distance we travelled and the early theatre check in the following morning we were able to stay over in the hospital accommodation. Daddy was in one section and Imogen and I in another, long story but it was an interesting experience to say the least. Imogen however loved the adventure, sleeping in a bed with her Mummy, a room with a big cupboard to hide in and McDonald’s for tea……..well until the next morning anyway. Up bright and early Imogen went onto the ward and the usual pre-theatre checks took place, height, weight, BP, consents etc. It was all too much for Imogen and she was absolutely terrified by the whole thing. She was already starting to get used to being at hospital and was aware that it was never for anything pleasant. She went down to theatre which was upsetting in itself, wrestling your two year old whilst they put them to sleep with a mask…….any parent that has done this knows it’s upsetting, especially that moment they take your world from your arms and you have to walk out of that door. The time dragged by and we got to see our princess in recovery, very distressed and groggy but back cuddling her Mummy that was the main thing. Her little legs all stained with purple dye and her oversized gown just made her look even more fragile and I didn’t want to ever do this to her again. I know in comparison to what some poor families go through this is so minor but still it was our baby and we felt responsible for putting her there. So everything went well and the eye tests were luckily clear, so once Imogen passed enough urine and could show she could stand and walk we were allowed to go home. The doctors did notice that Imogen had a struggle whilst under anaesthetic with her breathing, when they described the noise she was making in theatre we reiterated that this was something Imogen had always done from about the age of 12-18months when asleep or distressed. This was something they decided would need looking into further, so another referral on the way. The next day Imogen woke up at home and walked through from her bedroom to ours, something she hadn’t done for many weeks. 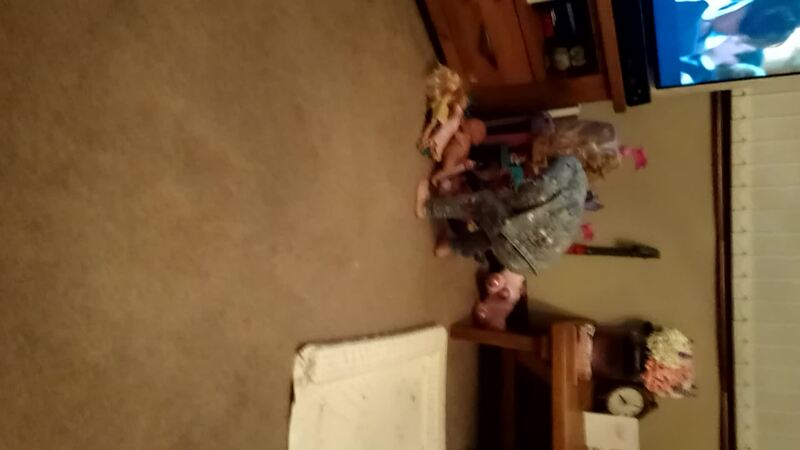 The first thing she said was “I can bend my legs Mummy” it was a very happy and emotional moment. Timing couldn’t have been any better as we had a holiday booked with friends at centre parks, it was fantastic seeing Imogen able to join in again and able to do so much. Things were going well and we all had the best Christmas and New Year. Unfortunately it was not many weeks after her steroid injections that Imogen started to complain of pain again, on seeing the specialist in the new year he confirmed that the bloods and her symptoms were showing that the arthritis was still active so she was prescribed an oral steroid to help with the joint inflammation and movement. She was also now ready to start her methotrexate injections, we did the first couple of injections with the nurse specialist at hospital to build our confidence to do it alone at home and then we took the plunge to do them ourselves. Luckily Imogen being the brave little soldier she is took to the process very well and started to help prepare things for the injection to happen. Now she gets on the chair willingly because she knows there is no choice and we all do a high-five after. She also has to have monthly blood tests alongside this drug to monitor how things are progressing. Over the coming weeks Imogen kept getting spells of high temperatures and not feeling 100%, she was off her food and exhausted especially the days following her injections. I started to keep a diary for patterns of behaviour, symptoms we were noticing and after monitoring her closely we could see things were slipping backwards. April came round far too quickly and it was time for all the routine appointments again both with the rheumatology specialists and for the routine eye screening. We were a little nervous as we had noticed with the better weather that Imogen was having a big struggle with sunlight, she literally wouldn’t go outside without her sunglasses on saying the sun hurt her eyes. She did amazing with her tests but unfortunately more bad news with the examination showing signs of Uveitis in both eyes. This is another complication of the JIA disease, the same part of the immune system attacking her joints was now attacking her eyes too, causing inflammation within the eyes. To treat this we had to give Imogen steroid eye drops 4 times a day in each eye for two weeks, then 3 times a day for two weeks and so on until we had another review in 6 weeks time. The Drs also reviewed progress with Imogen’s joints and with things still being active they were considering escalating her treatment to a biological therapy but wanted to give her a few more weeks to see if the drug was delayed at taking full effect. 6 weeks, again flew past and Imogen was very up and down with spells of extreme stiffness like previously. Therefore after discussions and tests it was agreed that Imogen’s treatment would indeed be escalated to a biological therapy, this will be a drug called Humira and is in the form of a second injection every fortnight, alongside the methotrexate injection she already has. The beauty of this treatment is that it is known to be very effective at treating both joints and eyes. We are currently waiting for the go ahead to start using Humira as Imogen needs some ENT investigations completed first (a long story that I will elaborate on another time). So fingers crossed this is soon enough. We were also pleased to hear that the steroids were doing their job for her eyes and the inflammation had reduced, however this had caused a knock on effect to the pressure within the eye, so more drops to go alongside the others to treat the pressure as well as the inflammation. They now need to keep a close eye on this and we will be back again in 4 weeks. So it is now the beginning of June 2018 and as you can see we have had a bumpy journey but we are getting there and I would like to add we have had the most amazing healthcare team looking after Imogen. We have been seen, diagnosed and put on a treatment plan before some families even get a referral, so for this we are extremely grateful. And the main reason this happened so quickly is the understanding our GP had of the condition and who after listening to her history and seeing her that day just had a feeling that this was more than growing pains…… we will always thank him for this.